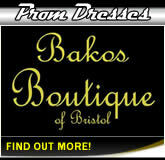 Welcome to Bristol Limos .com. 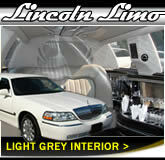 We have been operating luxury stretched limousines and wedding cars within the Bristol area for almost twenty years. 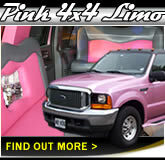 Bristol Limos is a name you can rely on and trust, offering the largest fleet of limousines that range from eight passenger white Lincoln Town Car models to 12, 14 and 16 passenger 4x4 'Hummer' style limos in pink , black and silver. In addition to our modern limousines we also offer a choice of cherished wedding cars that range from traditional convertible Beauford tourers and vintage seven seater Daimlers to head-turning six and eight seater 'Excaliburs'. Our city is one of the most culturally important destinations in England, and its combination of great history and modern vibrancy ensures that there is something here for absolutely everyone! For those celebrating something special we have an equally vibrant range of comfortable chauffeur cars, stretched 4x4s and wedding cars for you to enjoy. Fantastic nightlife, splendid tourist attractions, historic buildings and great parks all found amongst fantastic scenery means that whatever your chauffeur car needs for business and special occasions, we have the perfect way for you to travel around town! We prepare all of our cars to the highest standard with presentation and passenger safety as our number 1 priorities. Our smart, punctual, fully trained chauffeur will be on hand to ensure you get the most from your luxury journey with us! 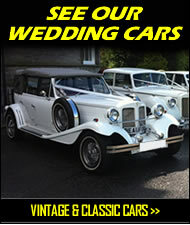 Are you searching for a classic or vintage wedding car for your special day? In addition to our stretched limousines we also have a fleet of cherished wedding cars for hire, all carefully looked after and superbly presented. Visit our Bristol wedding cars page to learn more about our convertible Tourers, vintage Daimlers and American Excaliburs. Our hand-picked selection of vehicles offers a choice of styles to suit different tastes and preferences, and our helpful bookings team are happy to advise on the most suitable cars for your day and tailor a package to match your individual requirements and budget. 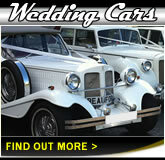 Ribbons and flowers are included in all wedding car bookings. 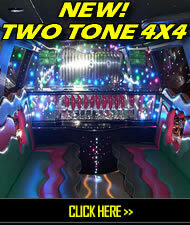 The Finest Limo Hire Bristol Has Available! 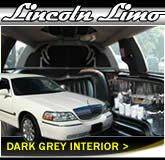 Traditional 8 seater stretched Lincoln Town Cars available in black, white or pink paint schemes. Our brand new design white Town Cars come in a choice of light and dark interiors! 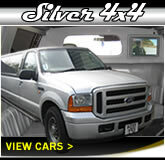 The 16 seater 'Hummer' style Ford Excursion SUV 4x4. 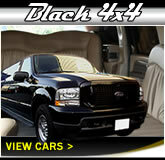 A real All-American chauffeur car with muscle thats the perfect alternative to a minibus! Fantastic 16 seater 4x4s in eye catching pink colour scheme! 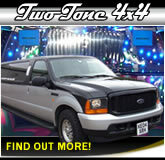 Bristol Limo Hire When You Need It - With Great Deals Offered Throughout The Year! We like to offer our customers superb rates throughout the year, regardless of your travel plans. 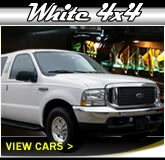 Please check our promotions page to view our current promotions. Whatever your journey requirements we look forward to serving you soon! Also covering Avonmouth, Keynsham, Portishead, Caldicot, Gloucester, Clevedon, Weston, Bridgwater, Monmouth & Chepstow. Great cars, great service, great local knowledge. 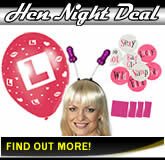 Suggested useful sites: Limo Hire Cardiff | Hummer Limos In Cardiff | Limo Hire Newport | Big Slo Limo Co. Ltd | Boogie Bus | Limos Bath | Limos In Weston Super Mare | Somerset Limo Company | COPYRIGHT NOTICE: No part of this website (including coding, imagery, graphics and wording) may be reproduced, copied, redistributed or sold without prior written consent from Speedway Designs Ltd. No responsibility is taken for content on external websites. Any promotions and offers advertised may be withdrawn without notice.